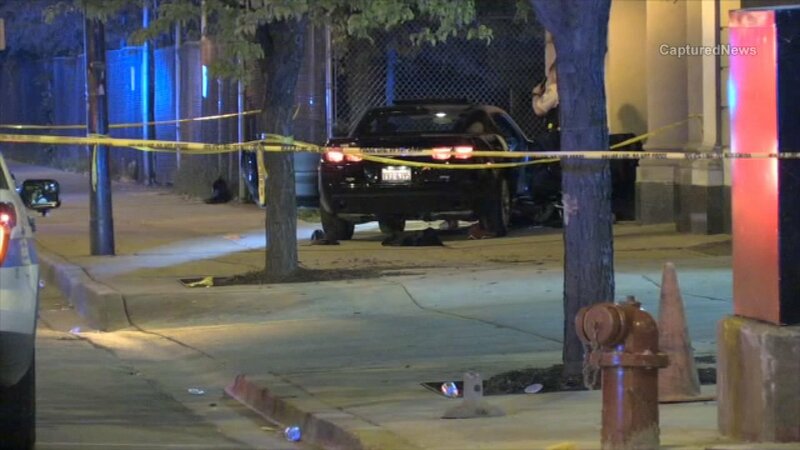 CHICAGO (WLS) -- Two people were killed and another injured in a shooting and crash on Chicago's West Garfield Park neighborhood early Sunday, police said. Two men, ages 24 and 25, were stopped at a traffic light in the first block of South Cicero Avenue when a black Chevy pulled up and someone inside opened fire and shot them at about 2:35 a.m., police said. The victims then turned west onto Madison Street struck a disabled person and crashed. The two men who were wounded were transported to hospitals where they later died. Authorities have not released the identities of the victims. The man in the wheelchair was hospitalized with non-life threatening injuries.